Are you ready for a serious confession? That may come as a surprise since I’m obsessed with things like this and this and this. Also a surprise when considering that this time of year, I spend about 85% of my available brain power trying to discover new ways to incorporate pumpkin flavor into everyday foods. See, while there’s something about mushy orange pie that kick starts my gag reflex, there’s also something entirely intoxicating about the combination of warm spices like cinnamon, nutmeg, and cloves, all strung together with sweet brown sugar and delicate pumpkin in just about anything else. So the other day when my 4 year old and I were looking for a pre-bedtime treat, I reached in to grab the vanilla ice cream and knocked my frozen pumpkin puree off the shelf. One look at my kiddo and his cute little mouth covered in graham cracker crumbs and I knew exactly what we were about to create. That was a week ago. We’ve had these shakes about 6 times since. So yeah, just about every day. Go ahead, call the diet police. I dare you. I purposely made this to serve 2 generous servings. I also made it to fit perfectly into my Blendtec Twister jar (which is smaller than a normal size blender jar) so you could certainly double it in a larger, high-powered blender. If you have a Blendtec, the Twister Jar works exceptionally well for things like this! 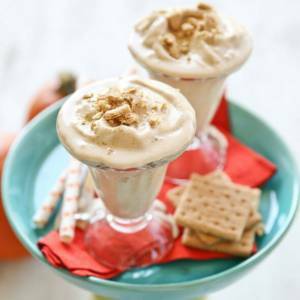 In the jar of your blender, combine a little milk with some pumpkin puree, brown sugar, vanilla extract, cinnamon, nutmeg, and cloves. Whip that up and then add in the vanilla ice cream. Now. It’s important to use good ice cream here. I’m not talking about expensive ice cream, just good ice cream. I call for Vanilla Bean ice cream because that tends to be the closest to a good quality homemade vanilla without a lot of extra fake-y flavors. My go-to is Breyers Vanilla Bean. Try to stay away from any vanilla ice creams that are that bright yellow-ish color. Breyers is one of the few with only a few ingredients and that’s always a good sign! I actually bought Walmart’s Great Value brand for this batch and I couldn’t believe how close it was to Breyers. Sure enough, when I looked at the ingredient list there were only a few ingredients (mostly milk, cream, sugar, and vanilla) and it was only a few bucks. So those are both great choices. I also get my ice cream out a few minutes ahead of time so it’s just a little bit soft. That tends to lead to the perfect consistency. Whip it up and it morphs into the most amazing smooth, soft serve consistency. 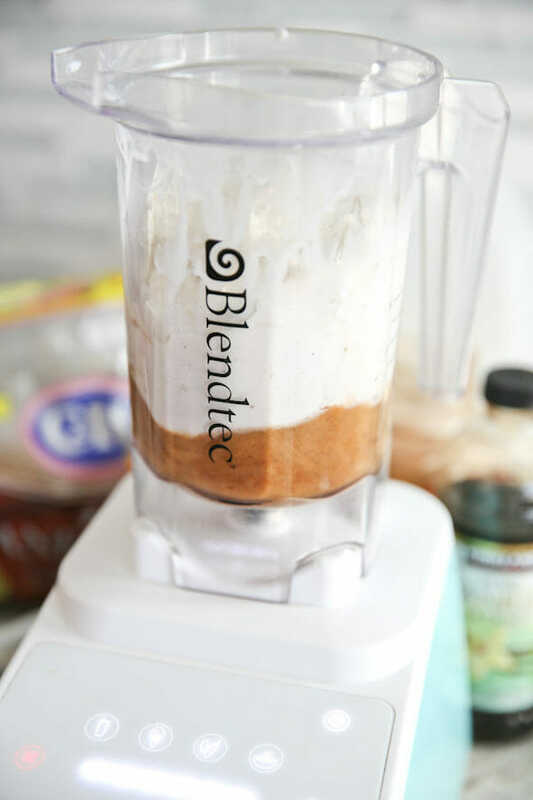 A note about blenders: Here’s the problem with making thick, diner style milkshakes at home: A lot of times you have to add so much milk to the thing to get the blender to process that it turns into a milk-slushie instead. Or you have to blend and plunge, blend and plunge, etc. You know the drill, right? So if you have any trouble with your blender, I would recommend blending everything but the ice cream first and then mashing it into the ice cream by hand (well, with a hand. Holding a fork or spoon 🙂 If your scooped ice cream sits out at room temp while you measure the other things and get them all ready, then by the time you mash it all together it should be a good consistency and it will turn out like a nice soft-serve at the end. If you want it thinner, to drink with a big straw, just add a little milk or cream until you reach the right consistency. Sprinkle with crushed graham cracker crumbs before serving. It tastes just like DQ’s Pumkin Pie Blizzard! 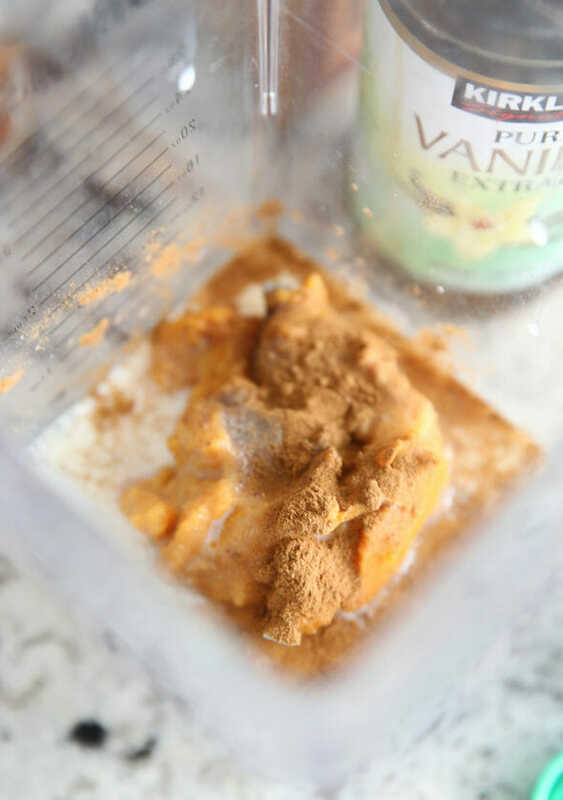 Quick and easy frozen treat using real pumpkin and warm spices. The perfect autumn dessert! Set ice cream out at room temperature. In the jar of a blender, or bowl, combine pumpkin, 2 tablespoons milk or cream, vanilla, cinnamon, cloves, nutmeg, and brown sugar. 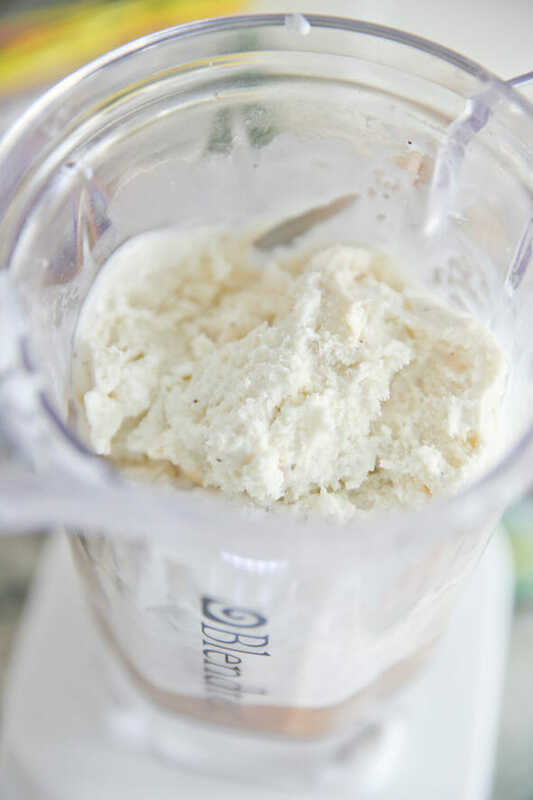 Blend or whisk to combine. Add ice cream and process (or smash by hand) to combine. Pour into glasses and top with crumbled graham crackers. Optional: after blending milkshake, stir in by hand chunks of graham crackers, baked pie crust, or chunks of shortbread cookies. Tip on Blending: Here’s the problem with making thick, diner style milkshakes at home: A lot of times you have to add so much milk to the thing to get the blender to process that it turns into a milk-slushie instead. Or you have to blend and plunge, blend and plunge, etc. You know the drill, right? So if you have any trouble with your blender, I would recommend blending everything but the ice cream first and then mashing it into the ice cream by hand (well, with a hand. Holding a fork or spoon 🙂 If your scooped ice cream sits out at room temp while you measure the other things and get them all ready, then by the time you mash it all together it should be a good consistency and it will turn out like a nice soft-serve at the end. If you want it thinner, to drink with a big straw, just add a little milk or cream until you reach the right consistency. I have to be the first to comment! This looks amazing! I cannot wait to try it. If it were not midnight and I didn't think it would wake my family up, I probably would. So, I wait for tomorrow and this delicious drink! OMG, I am drooling! I LOVE pumpkin pie. The funny thing is, one of my MOST FAVORITE treats is from Cold Stone- a pumpkin pie in the sky shake. Now I can make it at home for a fraction of the price. Yummmmm! Thank you so much for sharing. I will have to buy some vanilla ice cream and try this TODAY!! Wow! It's 6 am when I am reading this and now I want one for breakfast! Pumpkin Milkshake, pumpkin late – who will every know the difference? Will be trying this soon! Thanks for sharing. I love all things pumpkin- this recipes tops the list now! Reminds me of the DQ Pumpkin Blizzard too! I don't like pumpkin pie either! I actually don't like pumpkin desserts but this milkshake just might change me! I, too, HATE pumpkin pie but love the flavor of pumpkin. I think it's the smeary-ness (totally a word). oh! what a wonderful idea!!! need to try it! Looks delicious!! Do the graham crackers get blended up in the shake AND sprinkled on top? I am not a pumpkin pie fan either butI have frozen pieces of pie and then thrown them in the blender with some ice cream and milk to make a shake before. Yum! Jenn- you *could* put them in the shake, but I think they'd get lost so I just crumble them on top. I JUST had a pumpkin spice and cream Frappucino at Starbucks (because I had a gift card) and I thought- really? $5 for Pumpkin shake?? Can't I make this myself?! But I was too scared to play with pumpkin – I wasn't sure if it is safe to eat without being baked… but duh, it has already been cooked!! THANK YOU THANK YOU THANK YOU!! You have NO idea how just saved my budget this month! $5 a day on a shake? Now I can go on your diet for sooo much cheaper!! Sherri- I love the pumpkin pie blizzard too! I look forward to it every year! Katie- score! I knew someone would be all for my pumpkin milk shake diet! Yes, I'll be giving this a try! I'm pretty certian I have everything I need! Thanks for sharing! This is a definite must try! I LOVE all things pumpkin! YUM! YUM! that looks like autumn in liquid form YUM!!! that looks so good i am going to have to try it!! Found pumpkin at the store today. Hooray, I even bought a pie pumpkin to try making my own puree. I have to add, I love your blog, and my husband thanks you. mmmm YUM. I can't eat any dairy right now. Can't wait until I can! I thought you might find this interesting — it's near where we live and it's so fun to hear the different ways they use pumpkins. Yowsa… this sounds seriously bad (as in bad for my diet). Why do you do this to me? I thought you guys loved me?!?!?!?! I am NOT feeling the love over here folks. Where do I send my payments for the milkshake diet? I want my pumpkin milkshake blankey. Can't wait to try this ASAP. It looks so yummy! Okay the only thing that could make this better for me would be to swirl in a few mini chocolate chips. Pumpkin and chocolate are a perfect combination. I can't wait to find pumpkin in my grocery store (they have been out, as you said, the past 2 weeks). Okay girls, I have a challange for ya! I'm in need of a fabulous Cheddar Broccoli Soup, do you have one? That is a great idea for a shake! I can't wait to try it. Oh my. That's all I can say. holy crap that looks good! can't wait to make this! What a yummie & lovely milk shake!! I am so making this tonight! 🙂 yum! I would love one of these milkshakes! I bet it would be good with crumbled ginger snaps, too! Thanks for the tip on making thicker milkshakes. I thought it was just me…I'd better go apologize to the blender now. OMG!!! I just made this and it was amazing. I will eat this way to much. I made my own pumpkin as per your instructions. I love it even better than the canned. By the way, I hate pumpkin pie also. I didn't even take the time to get my vita-mix out. I just did it all in a bowl with a spoon. Yum Yum!! I love it – it looks so indulgent but when I look at the ingredients, it's really not that bad! You should submit this to Recipe4Living.com! This looks TO DIE FOR!!!!!!!!! 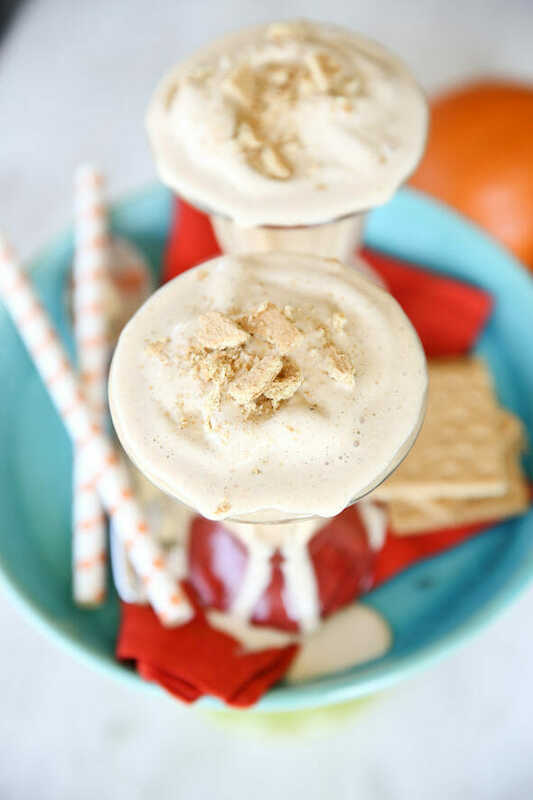 I really like the sound of a pumpkin pie milkshake! I just finished roasting my first pumpkin of the season and I now have 6 cups of pumpkin puree. My place is kind of warm from having the oven on for so long and a milkshake would be perfect right now. We have also had these milkshakes for days. You have to use up the pumpkin mix right? So, every time we open the fridge and see it there we just have to add it to the meal! OH MY GOODNESS!!! This milkshake sounds AMAZING!!!!! OMG yummmo! I am soooo trying this this week or next!! I made this tonight after several nights of thinking about making it. I never should have waiting, it is amazing! It is the perfect cure for a pumpkin pie craving. And now that I have a whole can of pumpkin opened and ready to use I can join the pumpkin pie milkshake diet. So yummy! I am going to have to limit how often I can make this 🙂 I blended in the graham cracker and loved it. Thanks for posting this!! Holman Family- I love it!! That would definitely be more acceptable for breakfast, lol I'll have to try it that way too- thanks for sharing! We've made this several times, and today I was craving it again since we had some leftover pumpkin puree in the fridge. However, we only had butter pecan ice cream. I used that and it was so good! I loved having all the pecan chunks in it. Em- I bet that's super good! I made it the other day with apple pie ice cream and it was pretty good too! Ah-ha. I think I saw this somewhere else and I dont' think she gave you credit. In fact, pumpkin is on my grocery list specifically to try this based on the other girl's blog. I am happy that I now know who to really thank. Okay, I went back and she did give you credit so it was just my poor reading comprehension skills. No blog infringement. Thanks for having our backs Barb! We just tried this recipe tonight. Delicious! Such a great fall treat and a nice alternative to pumpkin pie which I'm sure we'll have plenty of over the next week! Thanks for posting! YUM!!! sounds delicious!!! Great site!! I am going to try this, but I think I'm going to get the canned pumpkin that already has the spices in it, it's not because I'm super lazy (which I am by the way), but my son needs a pumpkin shake recipe for cooking class and I figured that would be easier than him messing with the seasonings. Ill let ya know how it tastes!! Wow, this looks AMAZING!! Going to try a ice-creamless, sugar free version for special diet needs reasons… should still be somewhat of a treat!! thanks for the idea! I made this for dessert tonight, oh my gosh, AMAZING!!! My two year old devoured it, and then wanted mine. Thank you!! So good!!! Sara, I don't like pumpkin pie, either! I always get weird looks when I say that. 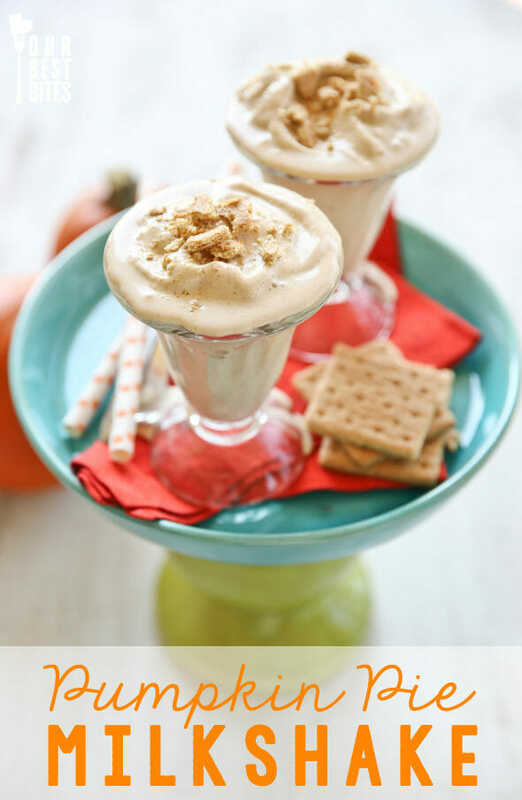 My husband loves pumpkin pie and I love ice cream, so this treat is a wonderful compromise! Thanks, I'll be adding this to my meal planner for the week. This milkshake is absolutely amazing!!! The kids and I just had it……so, so tasty. Too bad for the husband, he's at work and there isn't a single spoonful left. Darn, looks like I'll have to make more. Thanks SO much for this amazingly yummeroma milkshake. Oh, and these shakes look SOOOO good. I just barely found your blog and love it. I've been totally looking at all of your recipes. I am DYING for one of these shakes but don't have any cloves. Can I use pumpking pie spice instead since it is just all those things mixed together? I am just not sure how much to add . 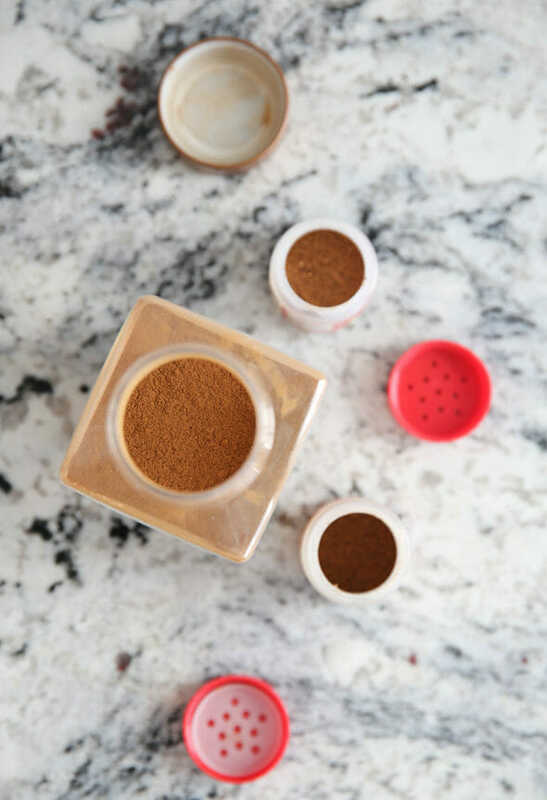 . .
Pumpkin Pie Spice works great Laura, just add it to taste! This looks so dreamy I featured it on my blog today 🙂 Stop by if you like. I mentioned this post in a blog post of mine! Thought you'd like to know! This is an awesome recipe! I love pumpkin pie shakes, but have never made one at home. Thanks! I followed your directions to mix everything before adding ice cream and it worked a lot better. Perfect consistency! I'm using my leftover graham cracker crumbs to make Reeces tomorrow. OMg you are a girl after my own heart..I luv luv breyers ice cream.. I would like to feature this recipe on Monday as well for my menu roundup..
Just had my wisdom teeth pulled out, so have been looking for some liquid food inspiration for the next few days. Think this one might work a treat 🙂 Thanks Team! I am so trying this tonight. And I.must say your post cracked me up!!! My husband is out canyoneering this weekend so after a day of single-mommy-ing it, I treated myself to this tonight. I just sent a text to my husband and told him that I would give up food for an entire day just so that I could consume of much of this delight as I can fit into my belly! Holy Cow! It was incredible! We have relocated to Arizona from Idaho and one thing I miss around the holidays is pumpkin milk shakes from Arctic Circle…well not anymore! This is just as good! Thanks for the amazing recipe! This was DELICIOUS! And perfect for today (low 80’s, but dying for fall)! I like my milkshakes pretty thick, so I actually made mine using my kitchenaid with whisk attachment–worked like a charm! I also used graham cracker crumbs mixed with sugar and melted butter (my fave). Thanks so much for sharing! 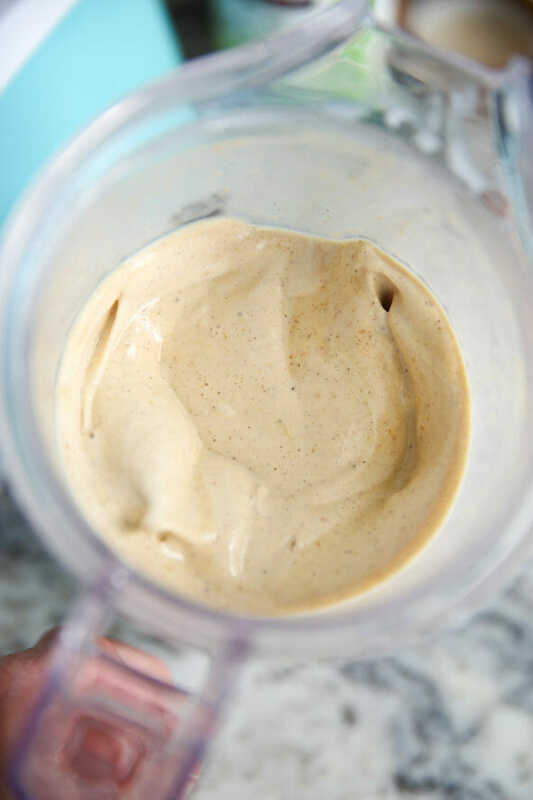 I made your super easy pumpkin muffins last night and let my husband take all but 2 to work to feed the coworkers… I think pumpkin pie milkshakes may be in order now, since I need my pumpkin fill too! Freeze pumpkin, omit ice cream, add a bit more milk and any scoop of protein powder. I use visalus sweet cream. Next once it is blended and creamy from frozen pumpkin i add target brand pumpkin oatmeal dry right into the shake. It will need a few mins to sodten so you can add to milk before blending if you would like. Trust me when I tell you, you will never want to eat anything else ever again. And if you watch what kind of milk you use and count up cal, this is a ww point friendly shake. If u don’t like protein powder, skip it. But the visalus is tasty. This is such a tasty drink. I just had jaw surgery and am on 100% liquid diet and things get bland very quickly but I think I will be incoorperating this alot over the next six weeks, just wish I knew about it the first time i had this surgery. Thanks for sharing. My family is addicted to these!! They are fabulous!! Thank you for yet more pumpkin-y goodness and for keeping this on your sidebar this time of year. Wanted to let you know your first two links in the post where the sentence reads ‘…obsessed with things like this and this and this…’ are broken. So curious what they were, is it fixable? You know, they were all things from our “Thanksgiving and Fall Flavors” section; most of which are in our side bar right now, so just check those out! Simply put…..AMAZING!! Thanks for such a great, simple recipe! Thanks so much for this recipe. I have steered clear of Dairy Queen this fall because I have this recipe now thanks to you. I love it more than any of the pumpkin shakes I have bought and it can be made at the convenience of my own home. My new favorite treat! OMG…. My best friend and I just made these… they are SOOOOOO good! Thank you for the recipe. best ever i love these!!!!! These are delicious! I loved it, my husband loved it, and our 15 month old loved it so much that he cried when his little glass was empty! Thanks for the recipe! Just made this with my husband…FANTASTIC! I made this today and it was fantastic! First I made a bunch of pumpkin puree using a recipe I found on the Pioneer Woman’s page.. I froze at least 8 bags of puree and have a ton more little pumpkins still to do.. and to think i used to pay 1.69 for 1 can.. and the fresh is so much better! Can’t wait to try it out on the kids later. This. Is. Amazing. The perfect size to share with the husband. We topped ours with alcohol infused caramel whipped cream. Thank you so much, I’m in heaven! Super delicious. My pumpkiny dreams come true! in the shake as well as on the top and it it super yummy that way. Can’t wait to try. You saved me from coming up with a recipe myself this coming weekend. Wow! This was amazing! We will be making this again soon! I am eating this right now and it is delicious, however I feel like I did something wrong because this didnt really even make enough for two regular sized milkshakes, let alone with a bit extra! I will have to double the recipe next time I guess! Delicious! I just made these for Thanksgiving breakfast and they are so great. Thanks! Wow! these taste like DQ’s and Iceburgs milkshakes. it is no secret i LOVE pumpkin, and this was no exception. Curse you! I am supposed to be eating healthy and this looks so good. 1 cup frozen passionfruit…I think. It was something cubed and orange that I probably got from Bountiful Baskets and forgot to label.